There is this guy who often comments in the media on the Toronto's housing market. This guy is Sal Guatieri, a senior economist at BMO Capital Markets. 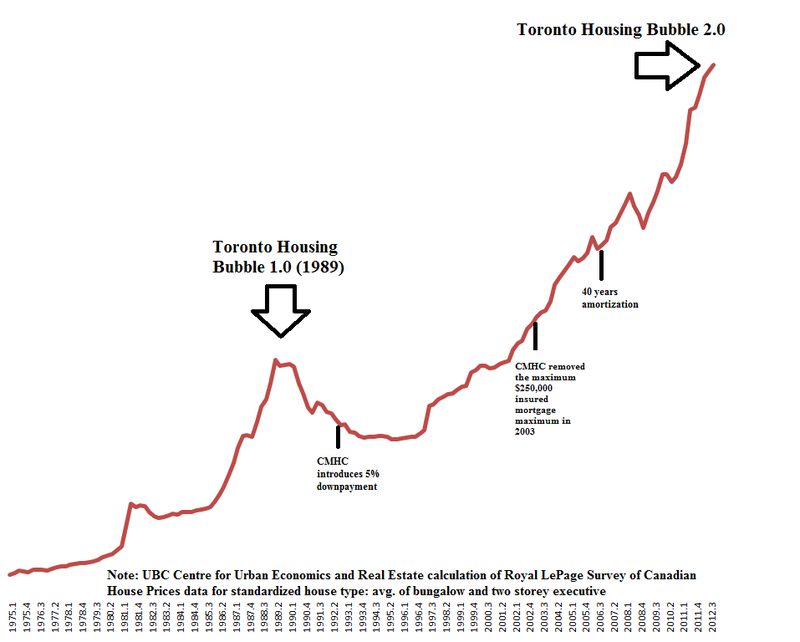 Recently he said that "The way we've always pictured the Toronto market is that it's not a bubble. A bubble will deflate under its own weight. It's more a balloon that would require a pin to burst. And that pin hasn't come along." Hmm, of course BMO - which generates a good chunk of its profit by selling mortgages - will not picture Toronto's real estate market as a bubble. For BMO, the housing market is a profit making machine. Furthermore BMO's guy stated "It's a market that's vulnerable to a correction, but until then, it's also supported pretty good fundamentals." Especially the incomes - which declined in Toronto by over 3% since 1989. Seriously, BMO should transfer Mr. Guatieri to the sales department as his economic knowledge seems bloody limited compared to his PR skills. 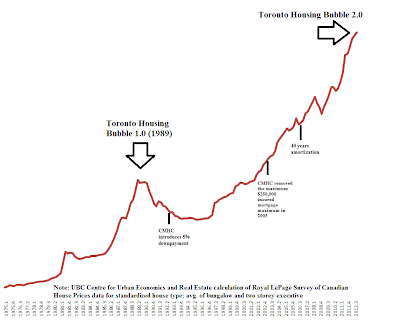 Remember that the Toronto market is not a bubble but more a balloon. The above graph shows actual home prices, not adjusted for inflation.